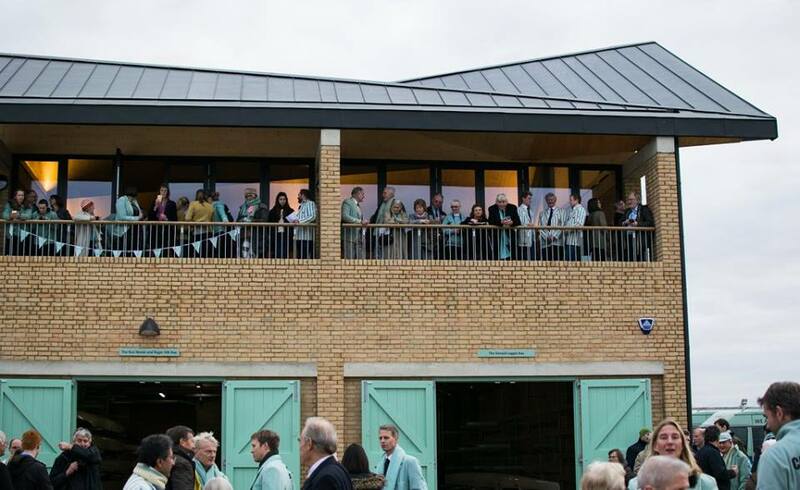 Our Main Hall is a superb space for any kind of function, event or large scale workshop. 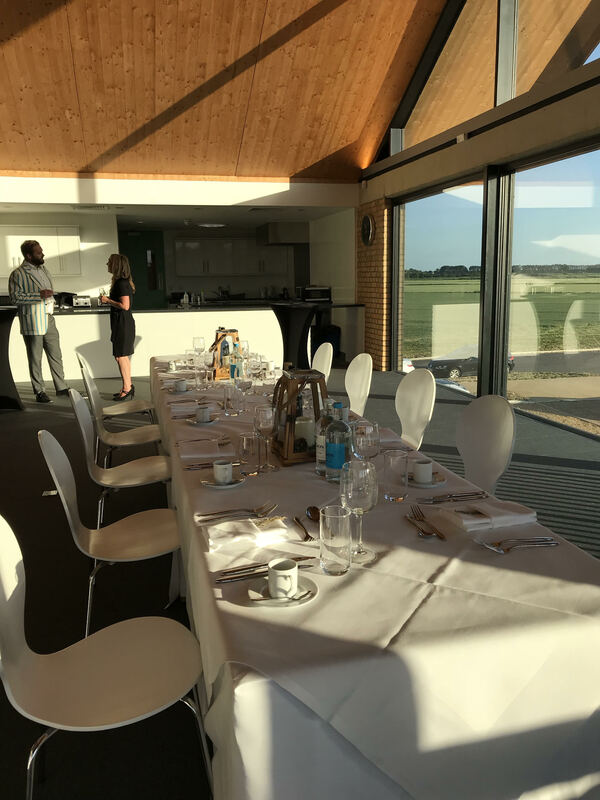 This impressive, flexible and light function room offers a wide range of possibilities for any corporate event, in addition to some of the most breathtaking views toward Ely Cathedral and a fantastic backdrop to internal photos. 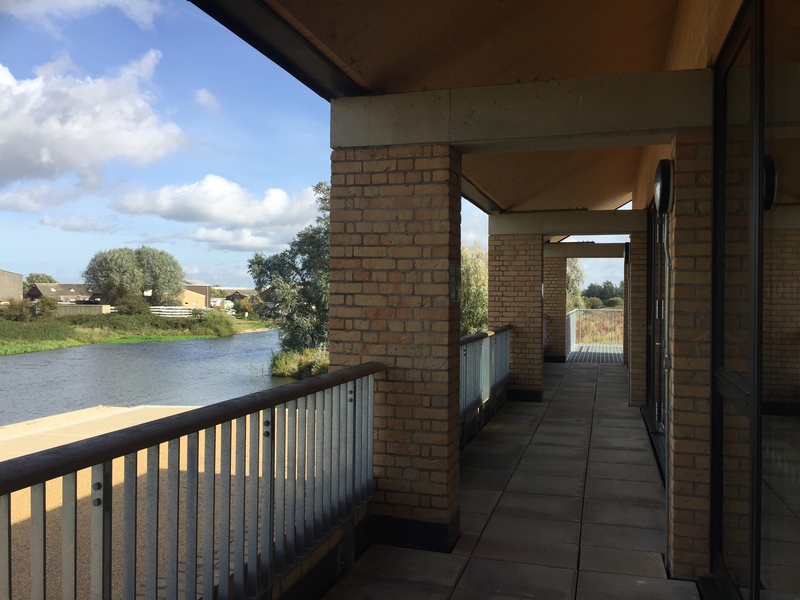 There is access to the long riverside balcony and the space is flexible as areas can be cornered off to suit your needs on the day with a partition screen and wall dividers. There is also an annexed off kitchen/bar area. 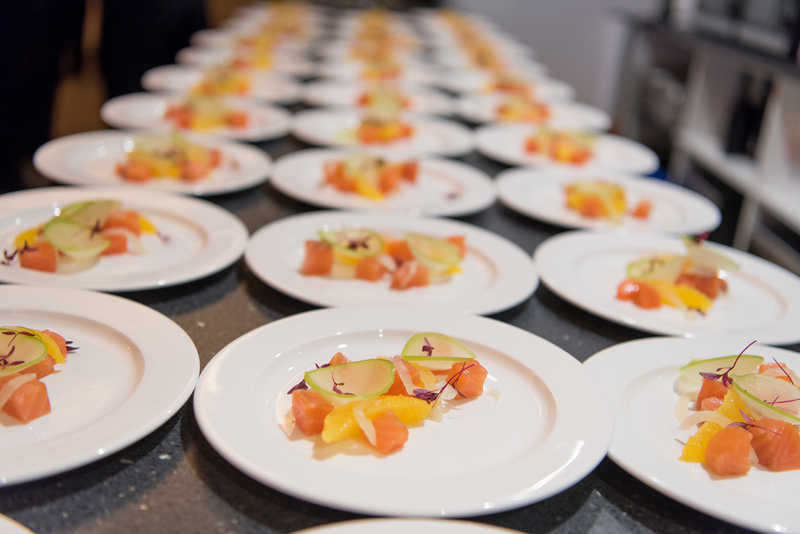 We work closely with event management experts The Cambridge Dining Company and their partners as well as a renowned catering company in Ely to ensure your event is tailor made and all your needs are met. 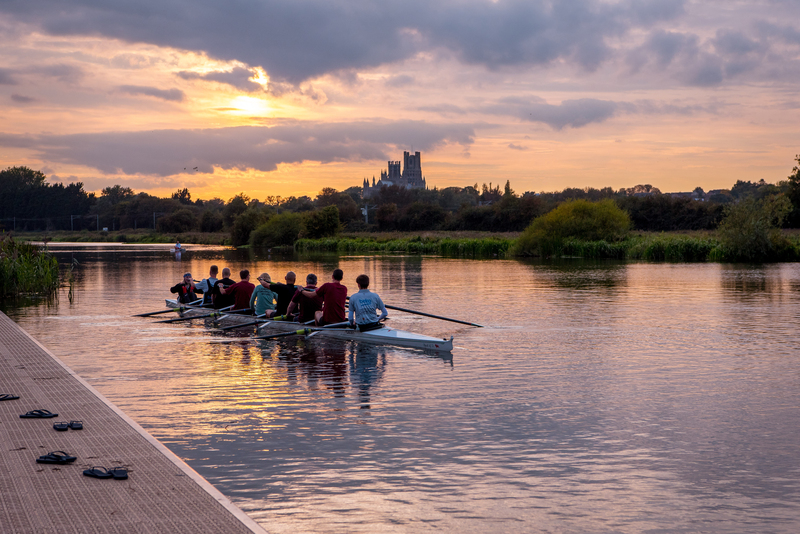 We offer the opportunity for tours by former rowers, Olympians to speak at your event and even to stage a rowing event for your delegates (subject to terms and availability). 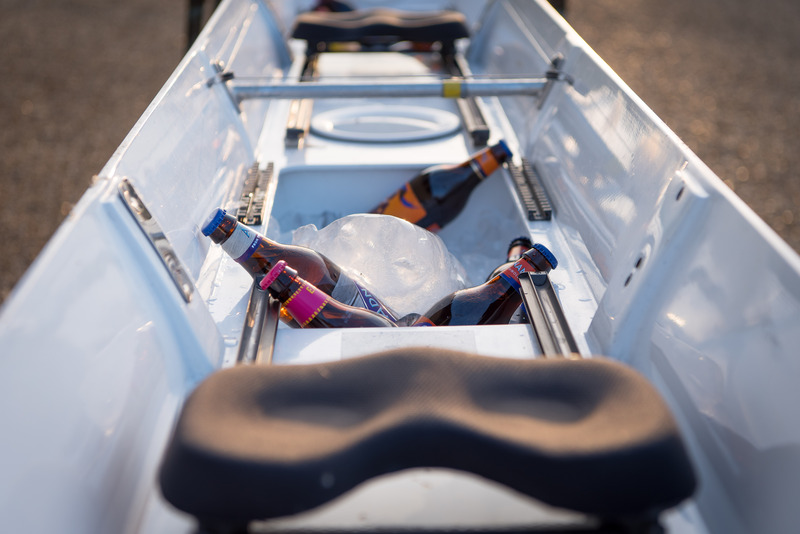 Hire fees are dependant on requirements. We have two meeting rooms. Our Jim Meadows Room is perfect for smaller business meetings, workshops and seminars. 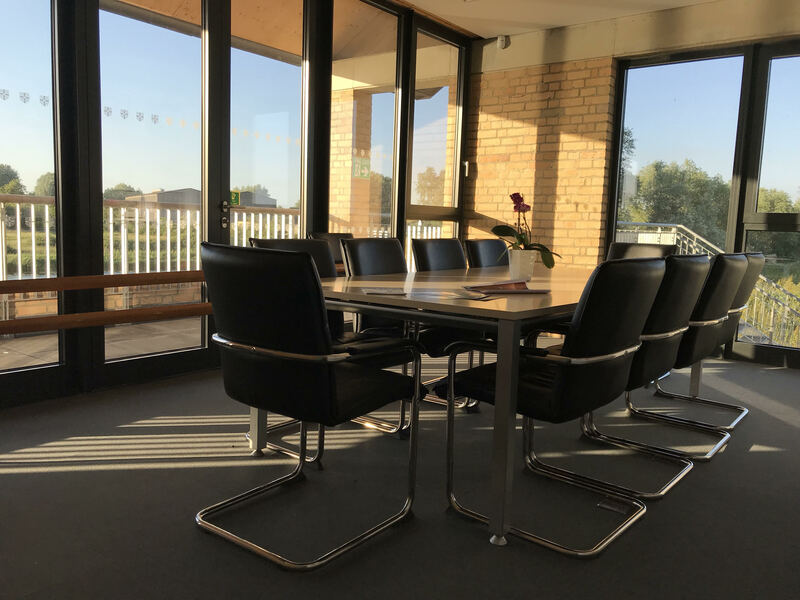 This room overlooks the river (Great Ouse) with countryside views beyond. 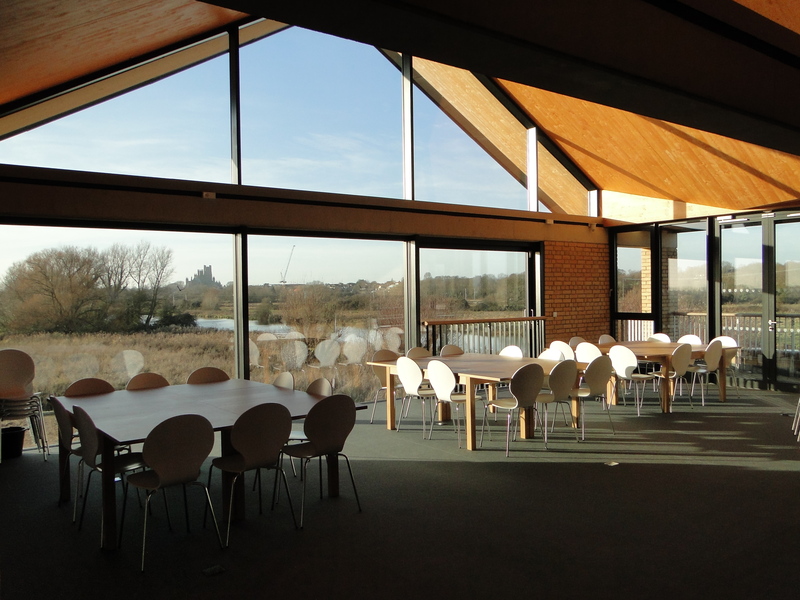 It has breakout space in the form of a covered balcony overlooking the river with views across Ely and the Cathedral. Inside the room has a large board room table and seating for twelve people (extra chairs can be added). 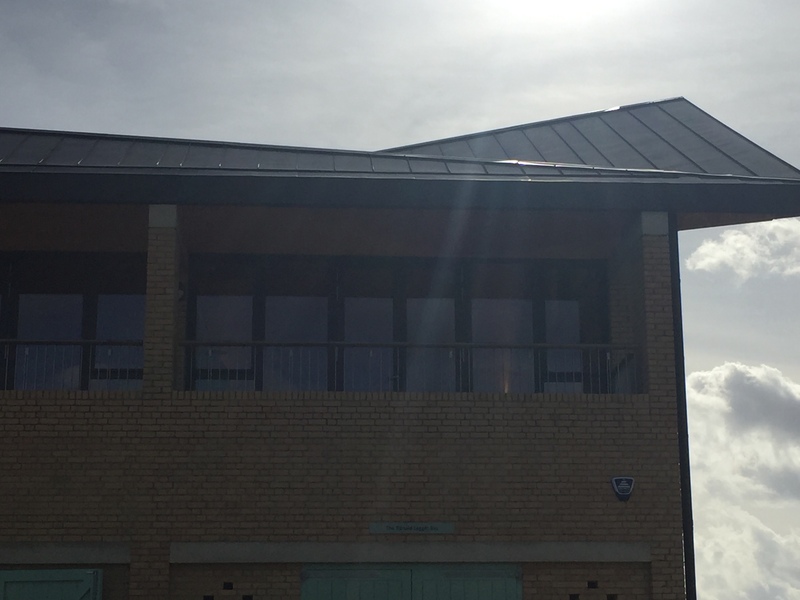 There is free Wifi access, the use of a 48-inch TV which is connectable to via a HDMI cable and a projector is available on request. 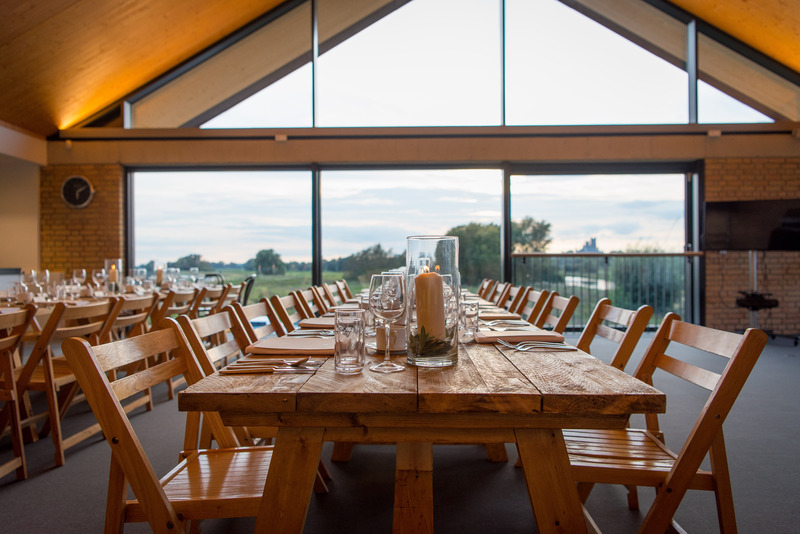 Our Main Meeting Room is a superb space for any kind of function, event or large scale workshop. 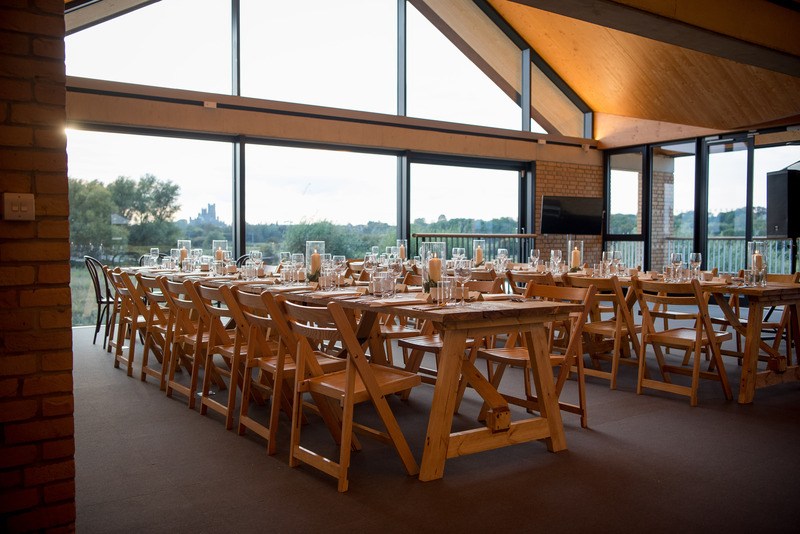 This impressive, flexible and light function space offers a wide range of possibilities for your organisation. 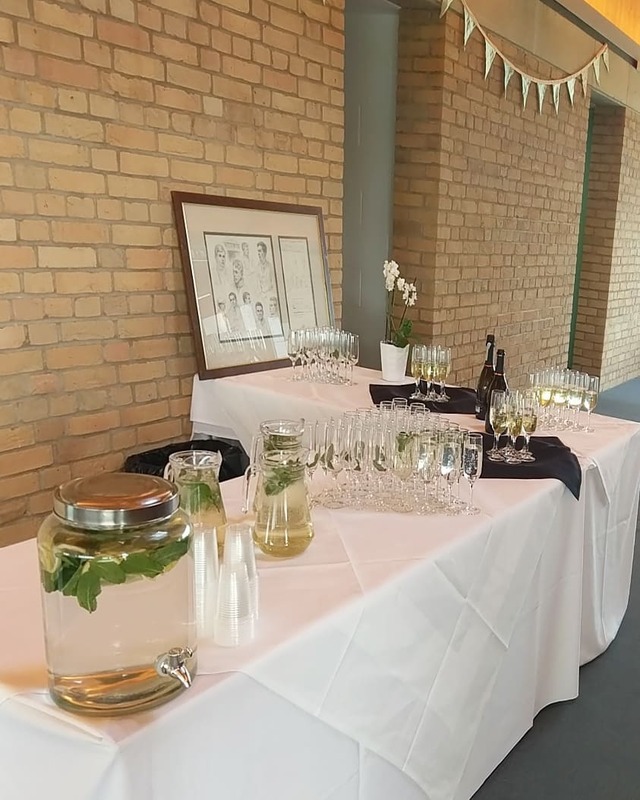 This room offers a side area for comfortable seating for up to 35 or a larger space catering for up to 100 seated or 200 standing. 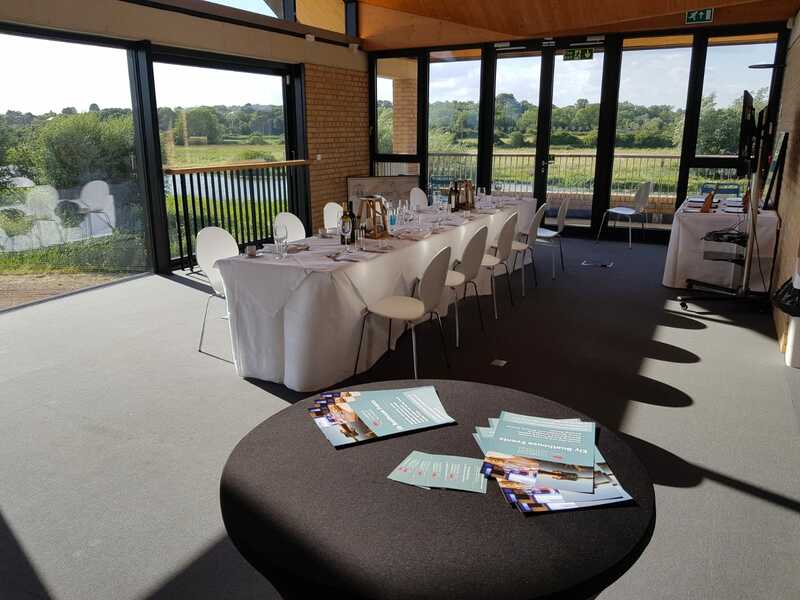 As well as breath taking views towards Ely Cathedral and a fantastic backdrop to for internal photos, this space is highly flexible as areas can be cornered off to suit your needs with partition walls and divides and access to the long riverside balcony. 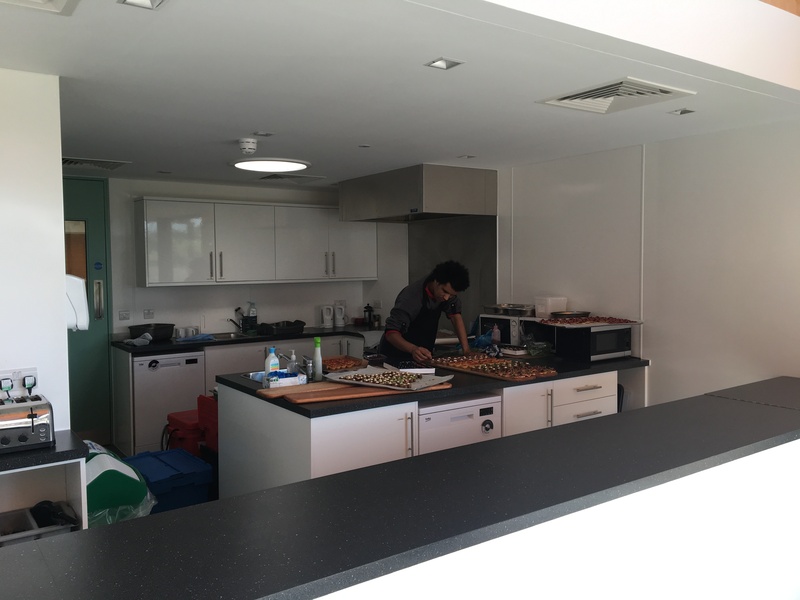 A buffet or sit down lunch and tea, coffee and biscuits can be added to your booking and we provide hire of AV equipment, all at extra cost. 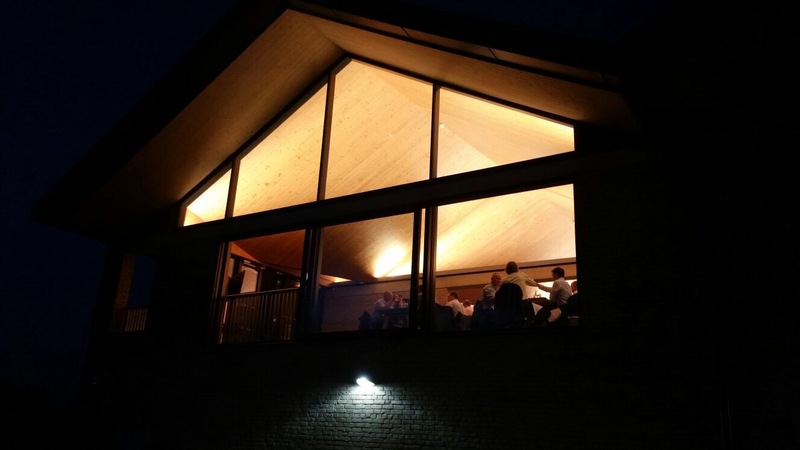 Our main hall will cater for up to 100 people seated or 200 standing. 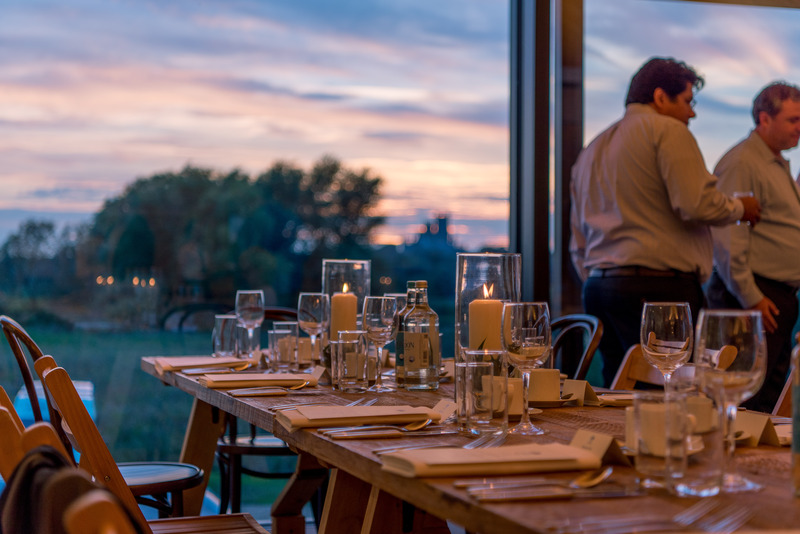 This impressive, flexible and light function space offers a wide range of possibilities for parties, weddings and entertaining. 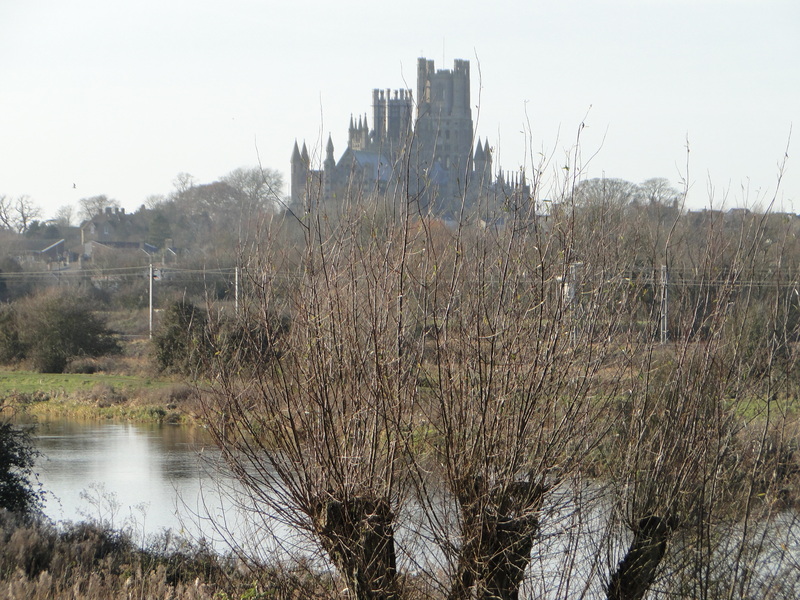 The main hall offers some of the most breathtaking views possible toward Ely Cathedral and a fantastic backdrop to internal photos. This space has access to the long riverside balcony and 3 double doors open out. 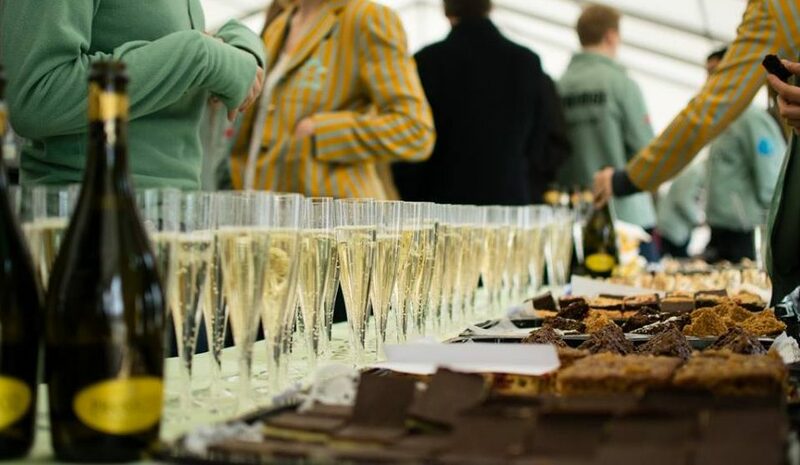 There is an annexed off kitchen/bar area and opportunity for a marquee on the riverside.